Anti-fatigue mats are designed to help a person who is working in a standing position for prolonged periods of time. Most anti-fatigue mats are a combination of an ergonomic pattern and a cushioning underlay. The cushioning causes constant balance checks by the person standing on the mats and small movements that stimulate blood flow through the legs. The use of Anti-fatigue mats is meant to encourage better circulation and lower fatigue. Anti-fatigue mats are one of many methods to try to prevent injuries caused by working in a standing position. These kind of anti-fatigue mats are recommended by Occupational Health and Safety laws and regulations. 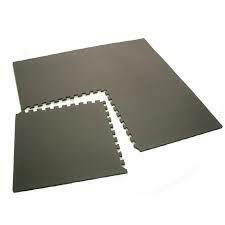 There are a range of materials as anti-fatigue mats includes EVA, compressed foam and rubber. As well as our extensive range of mats we can also source a large range of mats for our customers. Special order mats usually have a minimum order requirement which is necessary to abide my manufacturing limits and shipping costs.